– Points to the title – it seems like such a simple question, right? Why do you love werewolves? But once you stop to actually think about it, it’s a bit more difficult to answer. What is it about these shapeshifting beings that you love so much? This is a post for all of you werewolf fans, one for you to let your voice be heard. After overhearing someone ramble on about how they don’t understand why people like werewolves so much because “they’re just big smelly dogs with no self-control,” I got to wondering what it is about werewolves that people love so much. I’m not asking why you want to be a werewolf, but why you like werewolves. Why do you enjoy werewolf movies, books and shows? What is it about the character that you find so entertaining and enthralling? In most horror movies and books featuring werewolves, they’re these terrifying and ferocious beasts. Once in wolf form they have no control over their actions, their only thoughts are to hunt and kill. What makes them scarier in these stories is that you usually don’t know who the wolf is. If you like these stories, the frightening ones with werewolves that scare the hell out of you – why? In other stories, usually young adult novels or girly romance novels, the werewolves are simply misunderstood people looking for love. They are angsty and want nothing more than to be loved for what they are. Why do some of you love these wolves? Is it the scary monster draws you in, or the desire for humanity? There are many types of werewolves and we all have our reasons for loving them, what are yours? I know people that love all kinds of werewolves, to the point where they go out of their way to read every werewolf book they can get their hands on. They love werewolves as a whole – good and bad. But why? What is it about these magical beings we can’t get enough of? 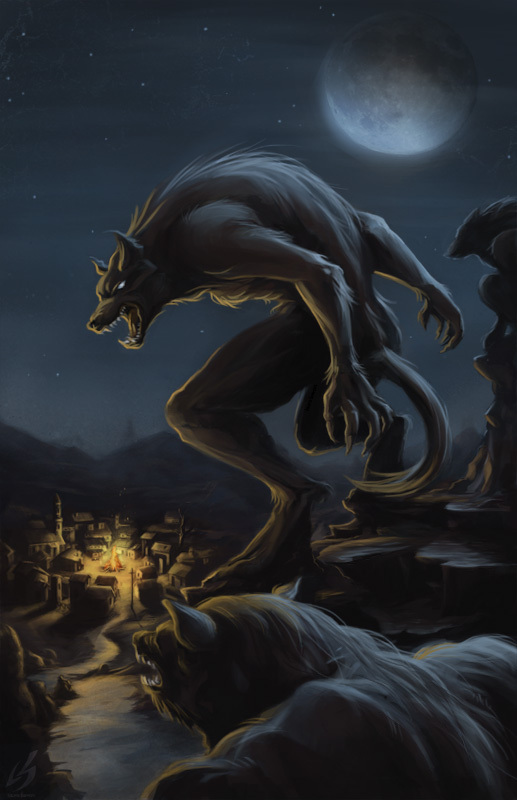 Let me know in a comment below why you love werewolves. I’d love to hear from all of you.